Companies thinking about adopting automated data collection software to improve operations can look to Federal Express as an example of how to best improve supply chain and inventory management practices. The company recently celebrated its 40th anniversary, and Wired pointed to FedEx's technological innovations as being critical to its success. By developing new methods to let business decision makers and customers track packages from any part of the world, the company has been able to stay ahead of the competition. "In order to scale the business and scale it with the quality that we wanted to, technology was an essential component," FedEx CIO Rob Carter told Wired. "You can't manage what you can't measure." In particular, the news source cited the FedEx tracking number as being critical to the company's business. Since its automated data collection software provides more oversight over its supply chain, the needs of both consumers and internal experts are met. Forbes reported that this system stems from FedEx's ability to think holistically about all variables affecting its supply chain. The company puts shipping efficiency and oversight above all else. For example, the company uses its internal data collection to determine how much more it costs per package to ship an item from one city to another overnight versus over the course of a few days. In addition, the organization's supply chain software can help decision makers determine the best airline for shipments to fly into or if company-owned trucks are a preferable shipping method. 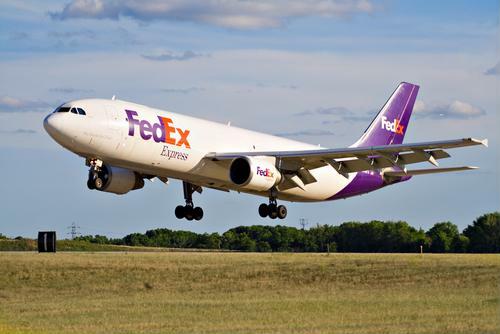 In order to maintain continued success, other firms should follow FedEx's lead and lean on technology to improve the supply chain. Forbes noted that the company is always improving and upgrading its systems to better compete and offer better service to its customers. FedEx, by introducing tracking numbers, was an innovator of this idea. "That was the fist time I ever saw a company say 'do business with us because of our technology,'" James Wetherbe, a professor at Texas Tech University's Rawls College of Business Administration, told Wired. "That was FedEx's way to differentiate itself from any other shipper at the time." Businesses looking to emulate FedEx's successes, regardless of their industry, should used an automated data collection system that collects information from RFID or barcode software. By using these methods, any organization will be able to let technology accurately oversee its inventory and supply chain. This will then ensure that internal processes can be made more efficient and that more information can be presented to clients and customers.